This is an example of a quiet, naive masterpiece, and is a perfect companion to a fantastic pamphlet that I wrote about earlier this month on flagpole painting. 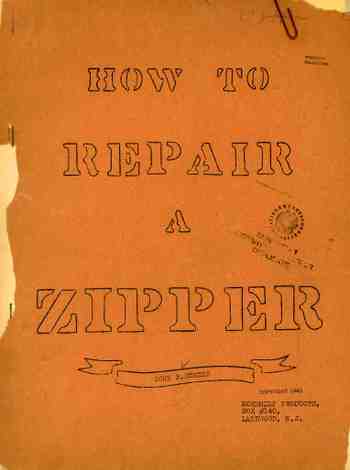 This tall (11x8 inch) 35-page 1945 work with an impossible title has everything that you would need to know--as its title promises and delivers--to repair a zipper. Not replace a zipper--repair it. It is so beautiful as to want to make every engineer residing in the deepness of everyones' soul just simply weep. The pamphlet is simply but well illustrated and addresses 50-odd contingencies for zipper malfunction and failure, and speaks to a particular WWII mindset that that addresses problems in this very fashion. Repair rather than replace. The bottom line here is that this is as good as any book of the history of fluxions or the making of the atomic bomb or cooking up a virus, given the parameters and limitations of its subject. (I have a pamphlet somewhere that was published by Dupont that would've been a great cross-purpose reference, only I cannot find it. It was called Stump Blasting. And, yes, since it was published by the DuPont Chemical Corporation it heavily sold the idea to farmers of how useful dynamite can be for just about any job. And I don't disagree outright, but the approach to the philosophies of problem-solving couldn't be more different, especially contrasting the Stump Blasting pamphlet with the Stump Removal one produced by a chain manufacturer. And so how does it come to pass that someone ostensibly trying to write a history of science blog that has been changed to a history of ideas blog finds himself at almost-midnight on a Sunday plugging away on a post about zipper repair and stump blasting? (And how often to do those five words come together in a sentence? ) Simple: its about the methodology and the approach to figuring out a problem. On the one hand, you have a circumstance where the problem is addressed, solved and eradicated; on the other, the problem is simply eradicated without the "solved" part. (Zippers really shouldn't fail all that often--the guy who patented the modern zipper in 1906 said that the zipper should work 200,000 times.) Personally I think that it is better in the long run to solve the problem rather than just replace it or blow it up. Perhaps we're just living in a BIU ("blow it up") kind of world, but I think we could use more zipper-repair approaches to thinking. The total number of casualties at Hiroshima and Nagasaki today exceed the initial figures of 1945--people were of course dying years after the blasts due to excessive exposure to ionizing radiation and other complications. To understand the long-term affects of the use of these weapons the National Academy of Science (under the instigation of the Truman White House) created the Atomic Bomb Casualty Committee in 1945. Its earliest concerns were hematological, but then quickly spread into other areas such as leukemia, radiation cataracts, fertility, aging, mortality and genetics. 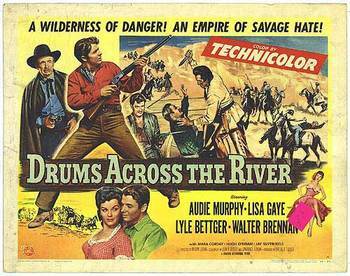 By 1950 there were more than 1000 Americans involved in this program, which had begun to whither by 1953 but which lasted until 1982. This study addressed the question of generational radiation damage and--after 1953--whether and if so how radiation damages DNA. The issue was whether future generations of children would express increased birth defect ratios as a result of exposure to the bomb. 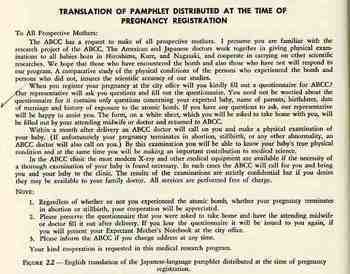 This questionnaire was given every fifth lunar month to the pregnant women of Hiroshima and Nagasaki--who were made to register their pregnancies with the government--and carried on for six years. Liebow, Averill. 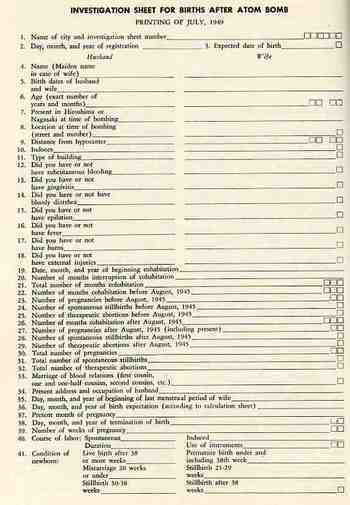 Encounter with Disaster, A Medical Diary. New York: W.W. Norton and Company, Inc., 1970. Marston, Robert Q. M.D., and Fredric Solomon M.D., eds. The Medical Implications of Nuclear War. 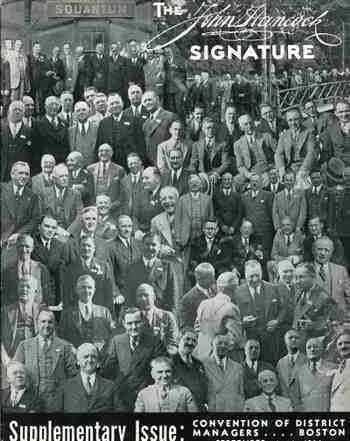 Washington, D.C.: National Academy Press, 1986. In the many years of dealing with unusual publications and images and illustrations and such, I do not recall ever seeing an advertisement for a waste can. And so today, here at the tail end of the summer of 2008, I stumbled upon one, tucked away in the back of the Official Catalogue and Guide of the Ohio Valley Exposition of Cincinnati, 1910. (Actually I was browsing the ads in the pamphlet when I saw the eye-popping half-page ad for The Weir Frog Company. It took as few moments for me to realize that they were selling railway frogs and other major-heavy hardware, but the thought of the frog farm did linger a bit...) I cannot say that trashcan tech had improved sharply between 1911 and now. I can say that the advertisers used an awful lot of exclamatory arrows to make their point, which leads me to perhaps a wrong assumption that this trash can was cutting edge. Or perhaps not; after all, how much can one say about it? (Yes, there's the patents for bomb-proof, smokeless, half-vented, lid-tethered, wheeled, semi-wheeled, clip-lidded and etc. garbage cans--actually I can count thousands of patents award to and about garbage cans. But, basically, its pretty much the same.) See the wonderful Timeline of Garbage here. I've made a number of posts about Nazi propaganda maps and thought that this was perhaps time to surface something that represented an Allied effort in the use of maps in hearts & minds campaigns--in this case it was in French obviously and distributed in occupied France. . (Note:as is the case with may of the items that I feature on this blog, the following pamphlet comes from a collection that I bought of the Library of Congress. 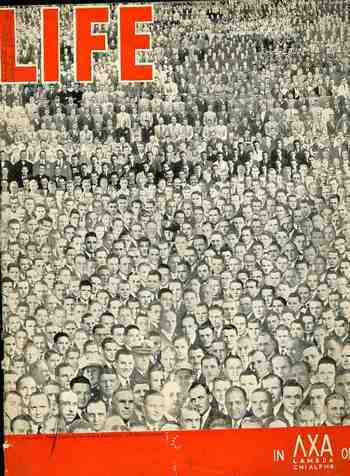 It was called, simply, "The Pamphlet Collection and was 90,000 items strong. Or weak.. There was no real organizing principle save for the fact that they were all categorized in some strange way and housed in 2,400 alphabetically-arranged document boxes. They also hadn't been touched since about 1948. What makes the "collection" so spectacular to me is that the majority of the pamphlets in it just don't show up in any collections, anywhere. It seems natural to surface these things and publish them to the web where they can be either appreciated or forgotten--but at least they'll still be available for as long as electrons move). The occasion for the publication was the meeting at the Anfa Hotel in January 1943 in Casablanca (in the French Protectorate of Morocco) between Churchill, Roosevelt and De Gaulle (Stalin deciding he was too busy with the Nazi invasion to attend. The full trio of the Americans, British and Russians would meet later in November at Teheran). The Casablanca Conference mapped out the Allied strategy for the rest of the war while trying to figure out how to help the Soviets. 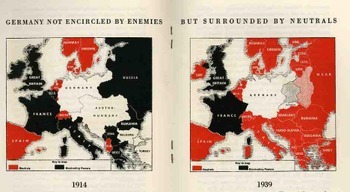 The map blatantly relates the closing of the collar around the shrinking neck of the Nazi nation, especially with what was seen as the impending defeat of the German forces in Russia. I suspect that the pamphlet was really published after the massive surrender of German troops at Stalingrad at the end of January--this would explain the forward motion of the red flags. 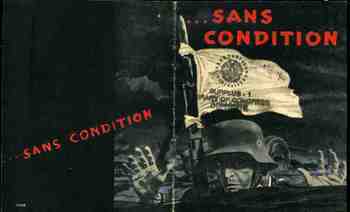 The pamphlet cover calls now for the unconditional surrender of the German forces called for in Casablanca. The text explains to the French reader that the downward spiral and defeat of Germany was inevitable, and that nothing less than complete and unconditional surrender would be acceptable. In any event the images and the map were completely understandable, even without language, calling quick and immediate attention to the new and true and positive developments in the war. 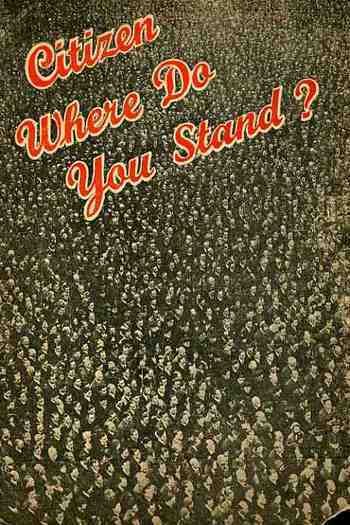 I don't often see covers of pamphlets featuring hundreds--or thousands--of people as a part of the design. In my continuing role as finder and re-finder of things found I have re-surfaced four of these designs, and I feel I should post them before they're captured in the un-finding process. Again. 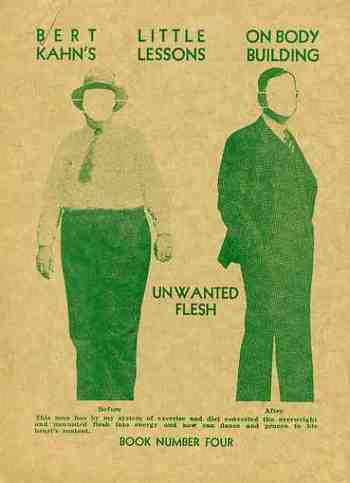 Back to the design: these are very striking, persuasive images, unavoidable in many ways, completely intriguing, beguiling. People just have to look at these things. Look: I made a little experiment today placing ten very interestingly-designed pamphlets on display, all with compelling and distinct merits, and including one with a big spread of humanity on the cover (the "Life" pamphlet. The very unscientific results is that people were generally first drawn to the complex people image, and stayed longer looking at it--by far--than any other image. Perhaps its the same sort of reaction going on when you watch people walking in front of a mirror or reflective surface, with the vast majority of folks checking themselves out in it. Maybe its just people looking for something familiar. Maybe the faces are simply, strictly more interesting than just points o the page. I'm not sure. 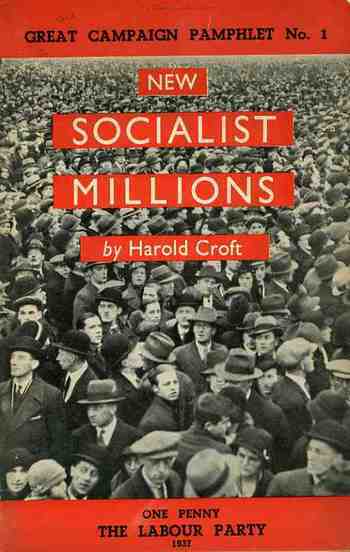 The first image is Life, the story of the fraternity lamda chi alpha, published around 1935; second, a one penny Labour Party publication coming from the National Executive Committee of the Labour Party, published in London in 1937; third, a program for the Liberal Party, published in London in c. 1938; lastly, fourth, a program for some course of semi-statistical study with the John Hancock life insurance company. These beautiful designs were much more interesting than the very casual contents they covered. 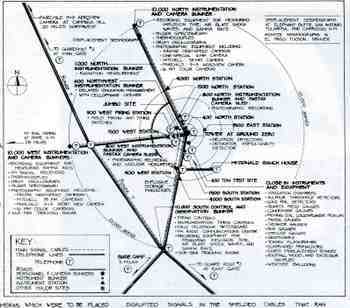 I just came across these engineering drawings for a detailed survey of the Trinity Site in New Mexico, location of the first detonation of an atomic bomb (16 July 1945). The work was completed by Rossana Santos for the DARCOM Recording Project as part of the American Historic Building Survey (Historic American Engineering Record NM-1-B, Department of the Interior). 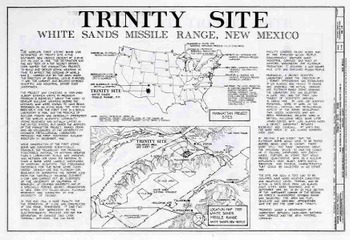 There are a number of interesting renderings, but the most useful (and scarcest) is the map showing the location of bunkers and instrumentation for the 16 July event. (Click on the images to enlarge.) This series of drawings pretty much speak for themselves. Dugway Provong Grounds (DPG) was selected in 1943 to test all manner of toxic agents and their antidotes, chemical dispersal systems and the nasty chemical that they would spray, the horrendous and effective (and new-ish) flamethrower and other allied bits. It was established way up in the northwest corner of Utah, in the Great Desert Basin and part of the Bonneville Salt Flats—a very tough, isolated, severe environment for being in the continental U.S., sitting where the waters of the freshwater Pleistocene Lake Bonneville used to lap up. 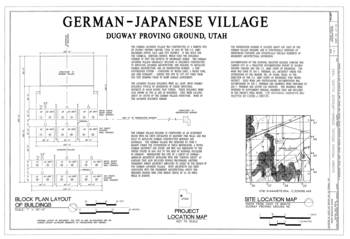 It was at Granite Peak in DPG that biological warfare weapons were tested until that aspect of research was phased out at the end of the war in August 1946, which is the origin for these architectural plans for test combatant towns. It seems to me that these buildings were built for offensive purposes for the chemical warfare division, and primarily (?) 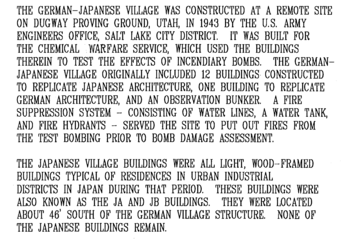 concerned with the effects of different sorts of incendiaries against typical German and Japanese structures. i'm not sure that I've seen these images before. DPG continues today to research chemical dispersal and micro environments, as well as toxins, pathogens and chemical agents; it also tests the reliability and survivability of military hardware subjected to biological and chemical attack—it is still a major facility and still does very major stuff. DPG is also a bizarre grail of some sort for the UFO people. Here's a compelling vignette on two sides of the same door. It comes in two images from the Historic American Building Survey and are of the Old Jail (built in 1690 and located on State Route 6A & Old Jail Lane) of Barnstable, Massachusetts. 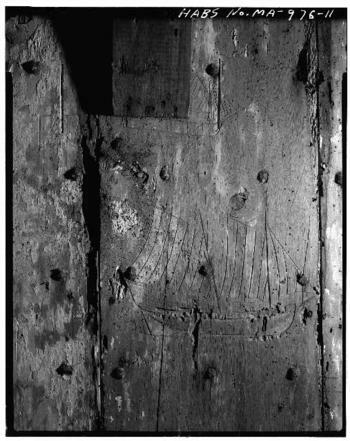 What is so shocking to me is the graffiti of an American schooner picking its way through a sea of tapered nails on the bad side of the door. It is just heartbreaking (if you can remove from your mind whatever offense this fellow was in jail for) to think of someone scratching away at something this personal on what looks like massive, first-growth, very hard hardwood: and certainly within smelling distance of the water. 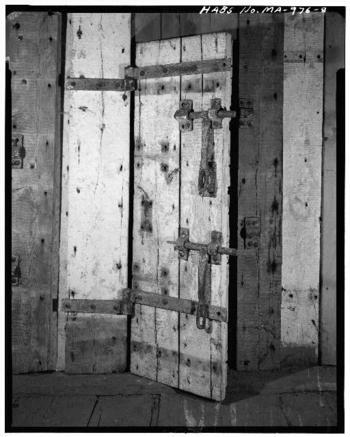 Seeing the picture below gives a better idea of the primitive weight of the door and the impossibility of getting away from what seemed essentially to be a windowless room of tight two-inch thick hardwood. If you've ever been in an old New England barn in June you would have found that the place could still be cold inside--and not a simple cold, either, but a bone-breaking cold.. This jail must've been pretty inhospitable in the winter, what with the wet windy northers and the frozen mist coming in from Barnstable Harbor. It just plain wouldn't have been good. The Nazi propaganda office published this effort (printed in August 1940) with every intent of making it seem as though it was produced in the U.K. as a sober reconsideration of fighting against the Germans, casting much of the argument in terms of economics. 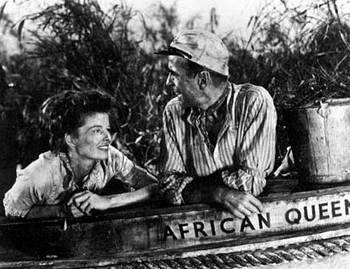 It was a relatively soft-sell effort in a hearts-and-minds campaign, hitting its target audience with reminders of how alone everyone on the British Isles were in the hard summer of 1940. "a totally different situation! The encirclement of Germany miscarries, leaving way for the expansion of Germany, and the way for her trade with neutral countries, especially with the Balkans and Russia...thus is the blockade against Germany a hopeless enterprise". After a dozen pages of making the case against the British position in being able to take care of itself, there is this folding quantitative display, making a diametrical-pictorial presentation of the British failings. 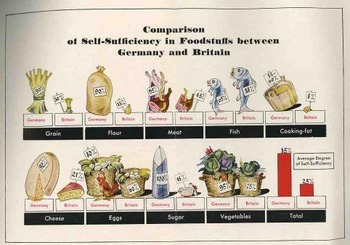 The Nazis show that they overpower the British in the ability to supply itself with grain, flour, meat, cooking fat, cheese, eggs, sugar and vegetables--in every area, in fact, except for fish. 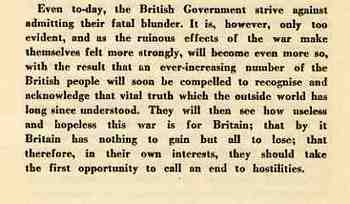 This is the summation of the pamphlet, the last paragraph, asking the Brits to just give it up and quit their fight. In general, when looking at these two images we know that we are looking at ALOT of something; when that "something" is opium, it just seems like a whole lot more. 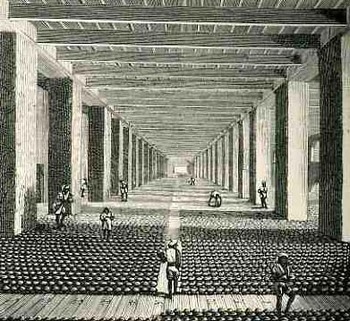 And this whole lot more is exactly that, drawn by Walter S. Sherwill (a Bengal Army Revenue Surveyor, 1815-1890, and published by The Scientific American on 29 July 1882)--these are the warehouses at the Patna opium factory in Bengal as they were in 1851. (The original drawings were published as Illustrations of the Mode of Preparing the Indian Opium Intended for the Chinese Market, published by J. Madden in London.) 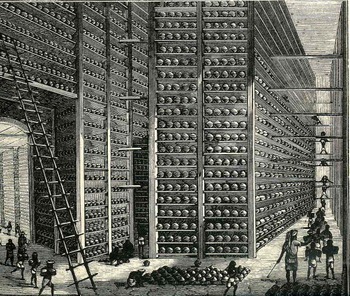 And that would be the government-controlled warehouses for the state crop, showing some of the 12,000,000 pounds of "poppy juice" produced yearly in that district, this part intended for the captive Chinese audience, which brought to that country war(s), peonage, a ruined economy and vast addiction. When we think today of irreplaceable aspects of technical society electricity and petroleum loom large as the juice of progress. These "irreplaceables" have hanged greatly over time, with perhaps one of the most benign being the simple grindstone. 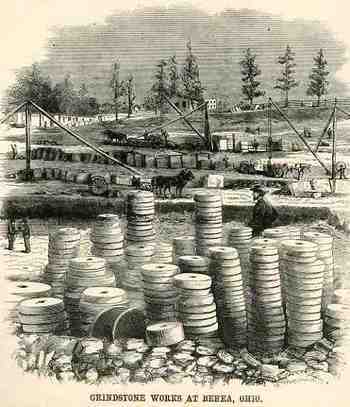 These images (below) from The Scientific American of 7 April 1866 show work at the quarry of F.M. Stearns & Co. of Cuyahuga County, Ohio (near Cleveland), and located n the Cleveland, Columbus & Cincinnati Railroad. These round disks were cut out of the earth here in 2 foot and 200 foot (long) sections which were 6 inches and 6 feet thick. The grindstone was an absolute necessity in just about every corner of commerce, almost all of which is gone or replaced, today. What really gave me pause wasn't the image of the quarrying of the stones or the cutting of their eyes or their shaping--it was the packaging. How awesome is it to think of packing up ten 400-pounders into a wooden barrel? 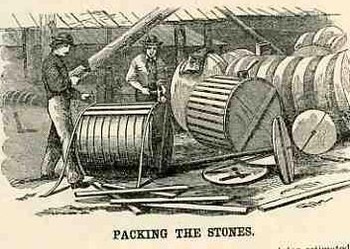 A barrel full of grindstones, one after the other, filling a railway car, with car after call of them, sending them out into the country in their dense inertness. I can just about smell the Progress in those cars. In the continuing thread of Empty and Blank and Missing People we find perhaps the largest and heaviest of all Blank People--the superstructure of the Statue of Liberty. 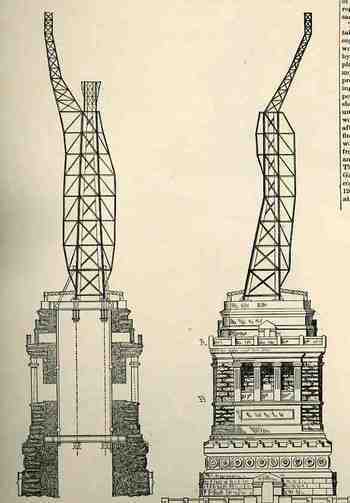 This woodcut appeared in the 13 June 1885 issue of The Scientific American, and shows the empty nest for Auguste Bartholdi's "Liberty Enlightening the World". For an empty thing it weighed quite a lot, over 400,000 pounds of iron plate and the awaited repousse copper skin. It was the tallest free-standing statue in history, but since (and only recently) has been eclipsed (see below for a short list of the tallest modern statues). Well, all I needed was a list of the lengths of 50 or so of the major rivers int he world, and I just couldn't come up with one easily, so I threw this together this very simple list of the top 95 rivers by length. The ironic point here is that I own quite a number of antiquarian maps which beautifully display this data--I just couldn't find the data in a digital/manipulable form. It would be nice to have the areas drained by each and some other factors, but this is all I needed for the map store, and so I'll share it here. There are two lists below, the first listing the rivers by length and the second listing them alphabetically. The results so far (August 23, 2008) from our Post re-offering the Chicago Metallurgical Lab's poll of July 1945 shows the results from 1945 and 2008 to be quite similar. Check the results for this day HERE. Overall the results are fairly similar—of course there were no controls in the 2008 poll, and it was taken by more than just the scientists at Chicago who helped build the bomb in 1945, and of course people were asked to try and place themselves with some judiciousness back into 1945. So the results are necessarily problematic. Even so, I’m not sure right now how to interpret them. The result with the greatest difference between 1945 and now was option#1—drop the bomb, drop it now, and drop it on a military target. There were almost twice the percentage of people in ’08 who chose this than in 1945. I’m not sure if I’m surprised by this or not—people today certainly know and probably could not put out f their mind that the Japanese didn’t surrender until days after the dropping of the Nagasaki bomb. Wouldn’t this mean that more people would think to drop it? The second option, which frankly I thought would be the overwhelming choice in ’08 (the demonstration of the effectiveness of the bomb), increased somewhat by 25% to 46%. I was thinking that this number would increase to 75%. I would guess, though, that if the general public was given this poll (somehow) in 1945, that the overwhelming response would be option #1. 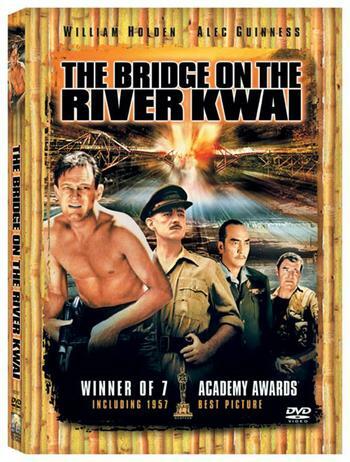 After all there were millions of Americans in uniform and the threat of the invasion of Japan was tremendous. My suspicion is that this number would be gigantic, 90% or something like that, because by this point the country was swimming in reports of terror and blood and death, and that the chance of ending it all in one or two steps would have been almost completely irresistible remember: no major decision-maker in the U.S. government had any reservations about the military use of the bomb. There were private reservations on the use of the bomb among America’s top military men (Eisenhower, for one), but these men would not make the ultimate decision. This is a curious result that I need to think about some more. 2008 poll takers= 2082 people.